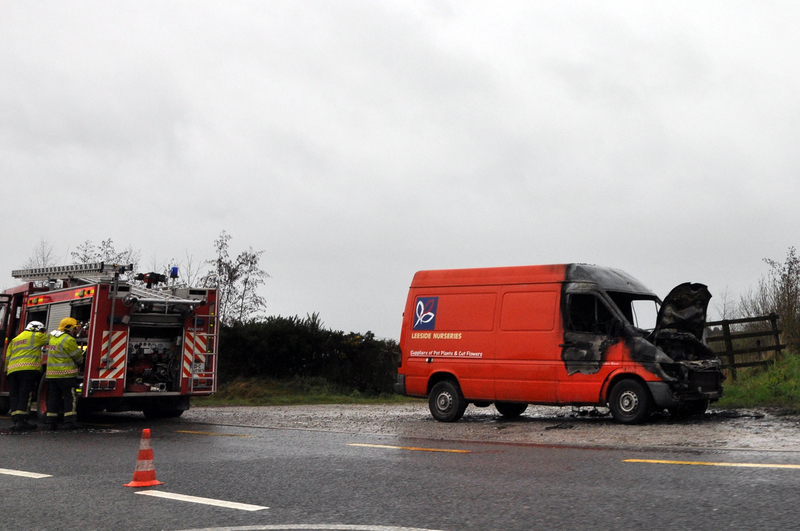 Mitchelstown Fire Brigade raced to the M8 slip road on the R639 towards Mitchelstown to put out a van fire this morning (Wednesday, January 24). Firefighters tackled the blaze after it was reported at around 10:30am. The Fire Service confirmed two appliances were in attendance and that it was brought under control. It is understood that the driver of the van was on his way to Mitchelstown to deliver flowers when he noticed something wrong with the vehicle before hearing a bang. Within minutes the van had caught fire. The fire soon engulfed the van until emergency services arrived. The driver was unharmed.